XHTMLJunction Wishes You a Very Happy WordPress 15th Anniversary! Today, WordPress became 15 years old. It passed yet another milestone in its voyage dedicated to blogging and web development innovation. With more than 75 million websites in 15 years, WordPress now powers more than 59% of all the websites available on the internet. 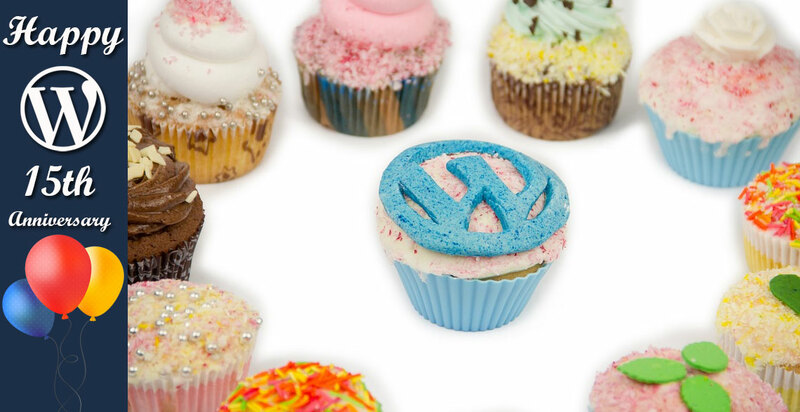 The popularity of WordPress is so high that all over the world, thousands of bloggers, programmers, organizations, and entrepreneurs are celebrating the WordPress birthday like a mini festival, complete with cakes, parties, and happy birthday carols. Such a mood was also visible at XHTMLJunction – a leading offshore Mobile and Web Development Company. XHTMLJunction also started its journey more than a decade ago and has been using, developing, and promoting WordPress since 2004. We have evolved and matured along with WordPress and are proud to call ourselves one of the best PSD to WordPress conversion service providers available anywhere on the internet. So we like to take some time and congratulate WordPress on its 15th anniversary of the first WordPress release. We would also like to congratulate our clients, employees, and visitors on this special occasion and wish to thank them for their continuous support of XHTMLJunction and WordPress. We request you to keep cheering us up the same way as you have till now.